Immerse yourself in a real Game of Thrones adventure and experience ‘A Song Of Ice and Fire’ from a unique and exclusive perspective. Ride at the Dark Hedges which was used as the Kings Road. 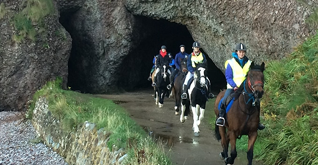 Walk, trot and canter through the farmlands and the stunning beach that surrounds Ballintoy while following the footsteps of Arya Stark and Theon Greyjoy at Ballintoy harbour which was used as the filming location for the Isle of Pyke. 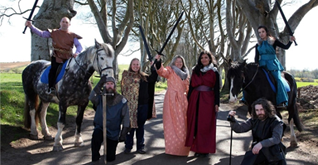 Follow in the footsteps of Arrya Stark on the Kingsroad, dressed as a true Knight or Lady of Westeros while taking in the beauty of the Dark Hedges and the surrounding countryside. 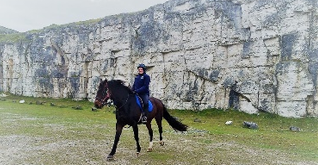 Ride the Kings Road, through the Isle of Pyke and onto Renly’s camp. This experience offers a truly authentic and unique way to experience our Game of Thrones territory. 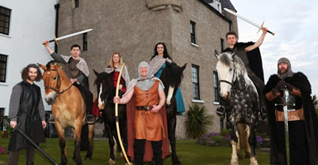 Ride in the footsteps of your favourite characters, bring the stories of the show to life and enjoy top quality horse riding and hospitality on the Causeway Coast!